They say a picture is worth a thousand words. 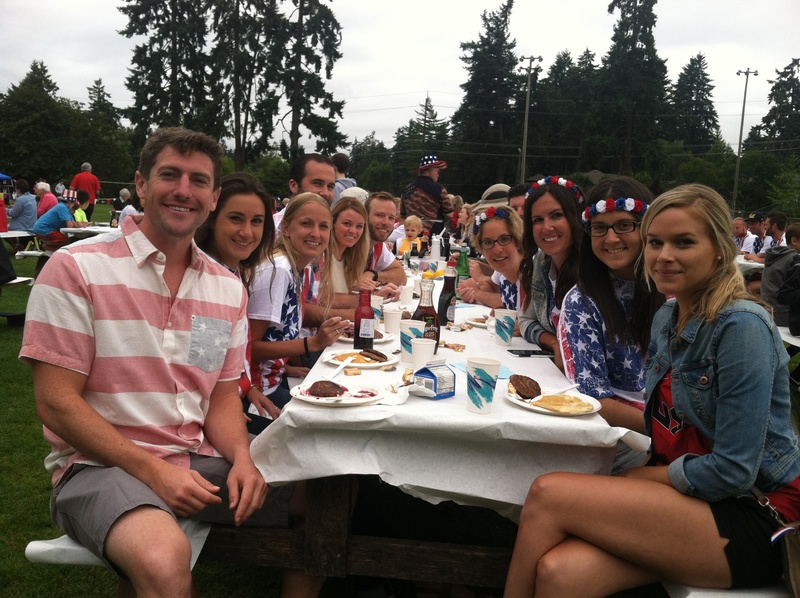 So I’m going to let these pictures tell Lake Oswego’s 4th of July story. 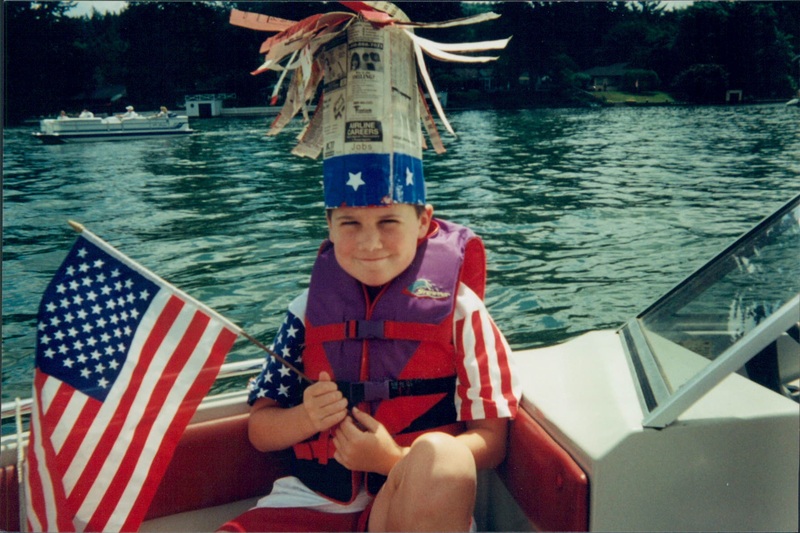 In short, Lake Oswego is the place to be on this national holiday. Just ask one of my son’s 16 friends who are traveling from San Francisco to join us for the celebration. If the pictures don’t say enough, you can read one of my previous blogs. Skiboard and Wakeboard Show. Grab a viewing spot of the action in Lakewood Bay at Sundeleaf Plaza, Stickmen’s Brewery & Skewery, the Lake Theatre and Café, or Millennium Plaza Park on Sunday, July 2 from 9:00 a.m. to 3:00 p.m.
Portland Waterski Spectacular. 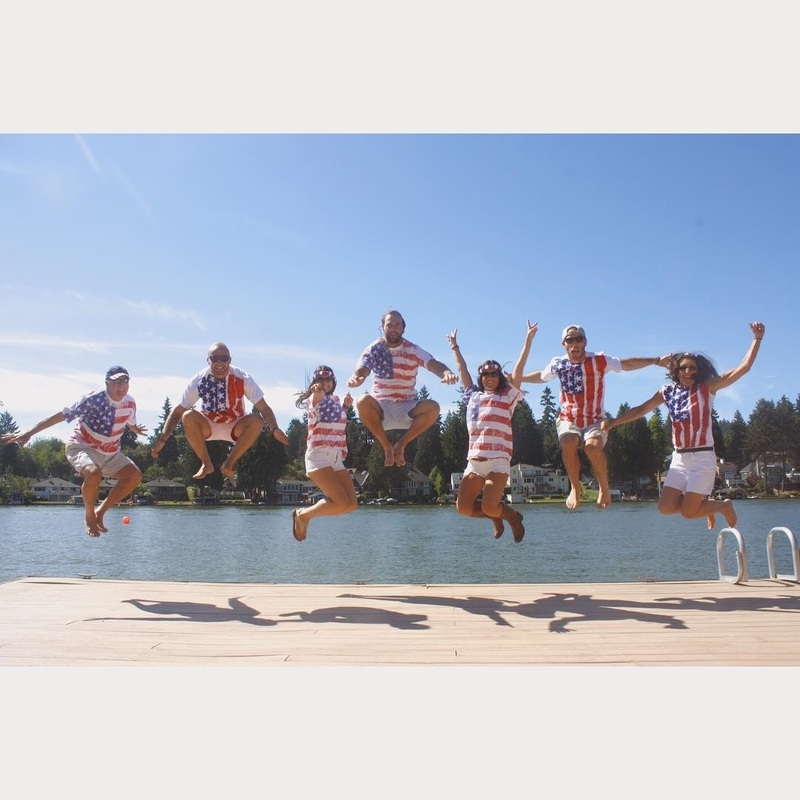 Check out the stunts and the showmanship as these skiers dazzle you on the water in Lakewood Bay, Sunday, July 2 at 5:00 p.m.
Millennium Concert Band. Get in the flag-waving mood with your patriotic favorites on Monday, July 3, beginning at 7:00 p.m. at Millennium Plaza Park. (In case of inclement weather, the concert will be held at Lakeridge High School auditorium). Lions Club Pancake Breakfast. This is the one time of the year my wife eats pancakes so they must be good (and hers are gluten-free)! Early birds make sure they get the marionberry syrup. Line starts forming at 7:00 a.m. and grows until closing time at 12:00 noon. George Rogers Park, 611 S. State Street. $9/Adults; $6/Kids 12 and under. Star Spangled Parade and Celebration. What kid doesn’t love a parade? Apparently none in Lake Oswego as it seems every child under the age of 10 is either walking down A Avenue or cheering those on who are. Parade begins at 10:00 a.m. and finishes at Millennium Plaza Park with a Star Spangled Celebration…and pie eating contest at 12:00 noon. Things wrap up at 1:30. Lake Oswego Corporation Boat Parade. Where else can you see one parade on land and one on water all in the same day?! Boats will leave from Lake Grove Swim Park at 3800 Lakeview Boulevard at 12:00 noon. While you’re there, reserve your spot for fireworks viewing later that night. Fireworks Show. The show begins around 9:45 p.m. on the west end of Oswego Lake so best to be at the Lake Grove Swim Park, on the Oswego Canal bridge, in a boat on the lake, or at a lakefront party if you can get an invite. This says it all about how our family feels about celebrating the 4th of July in Lake Oswego. 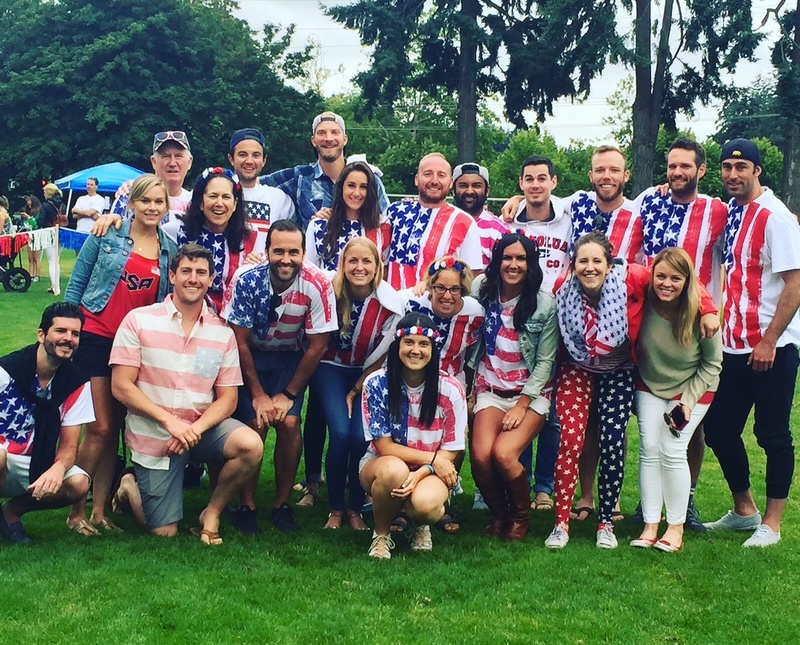 This entry was posted in Summer in Lake Oswego, Things to Do in Lake Oswego and tagged 4th of July, 4th of July in Lake Oswego Oregon, Lake Oswego Oregon, Things to do in Lake Oswego on the 4th of July. Bookmark the permalink.